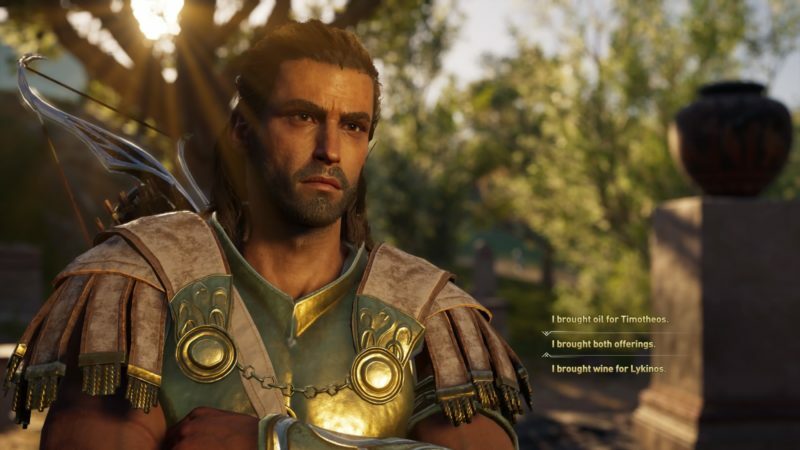 Honoring the Dead is a quest in Assassin’s Creed Odyssey under The Lost Tales of Greece. 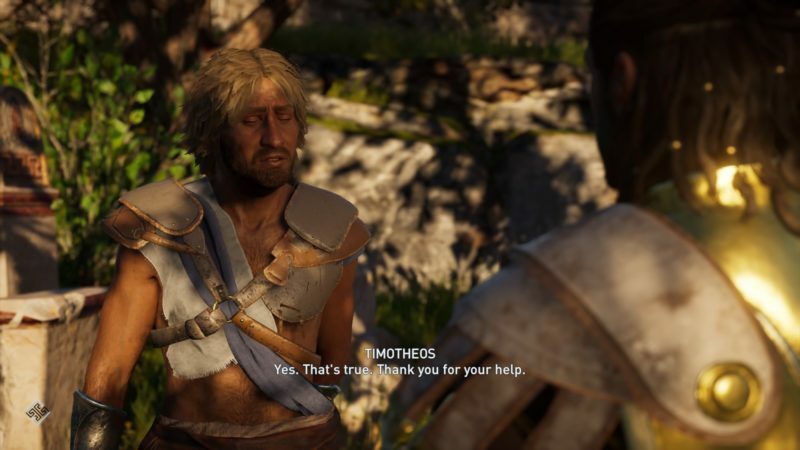 Your task is to obtain some wine and oil for Timotheos’ and Lykinos’ father. 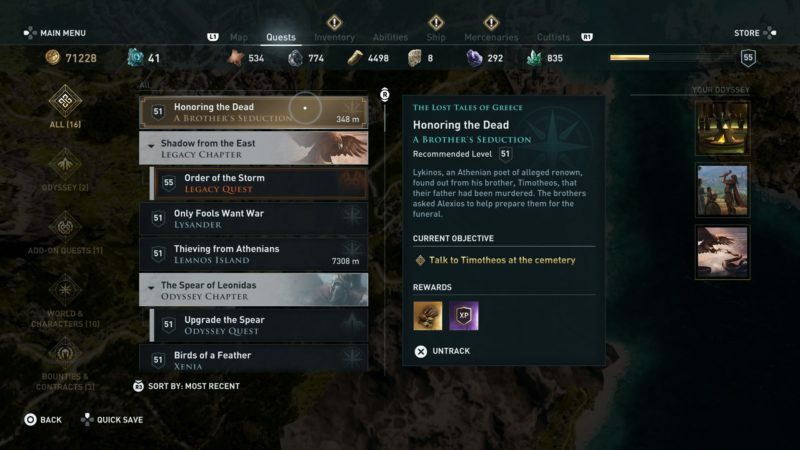 Here’s a walkthrough of Honoring the Dead in AC Odyssey. 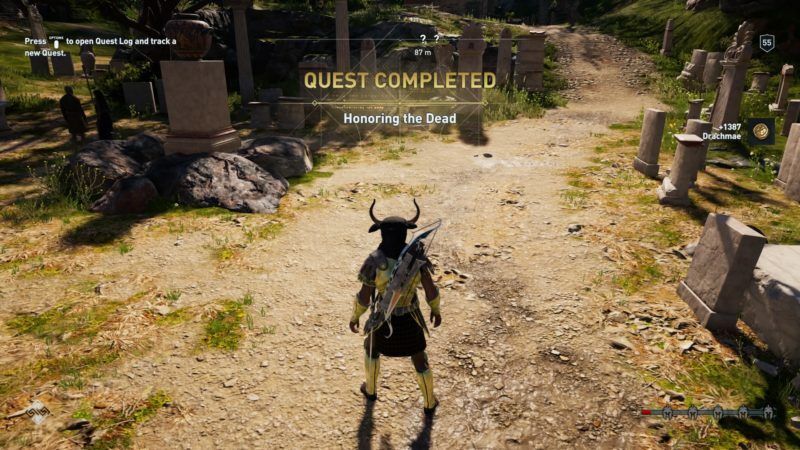 This quest is recommended for level 51 and above, but it differs according to your own level. 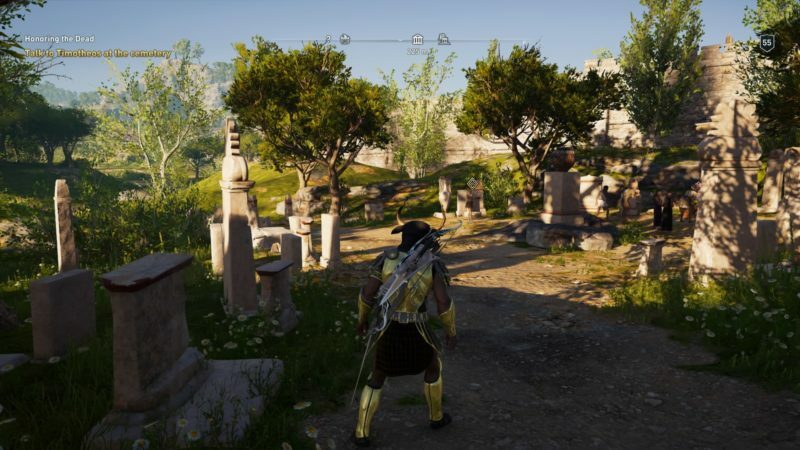 The first objective is to meet Timotheos at the cemetery. 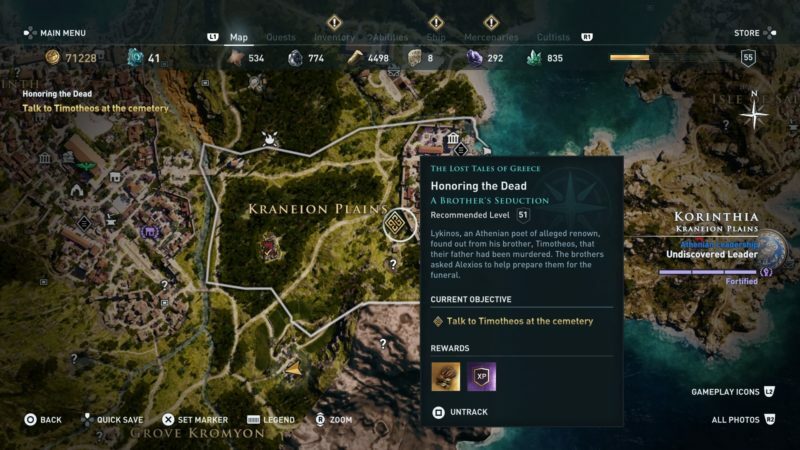 You can find the cemetery in the exact location shown in the map below, marked as the quest symbol. He will be standing here. Talk to him. 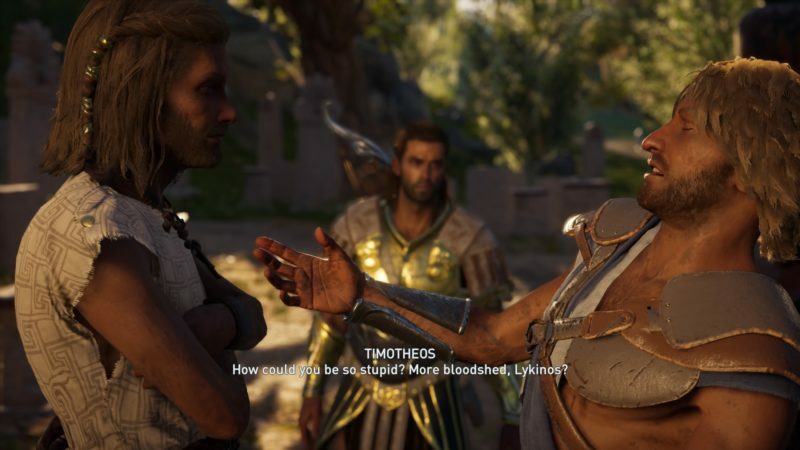 During the cutscene, Lykinos will appear as well. Both of them will ask you to bring an offering. Now, get to the Sea Captain Dock. The exact location is shown in the map below. 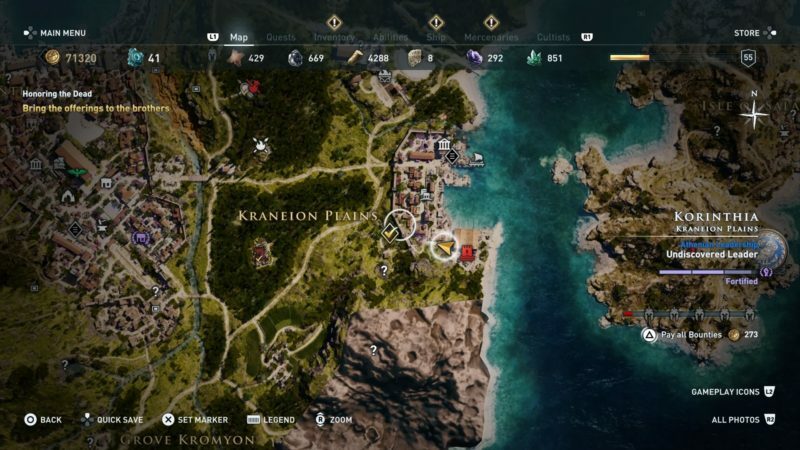 As you get closer, you will need to use Ikaros to pinpoint the exact locations of the oil and wine. When you arrive, you’ll notice plenty of guards in the area. 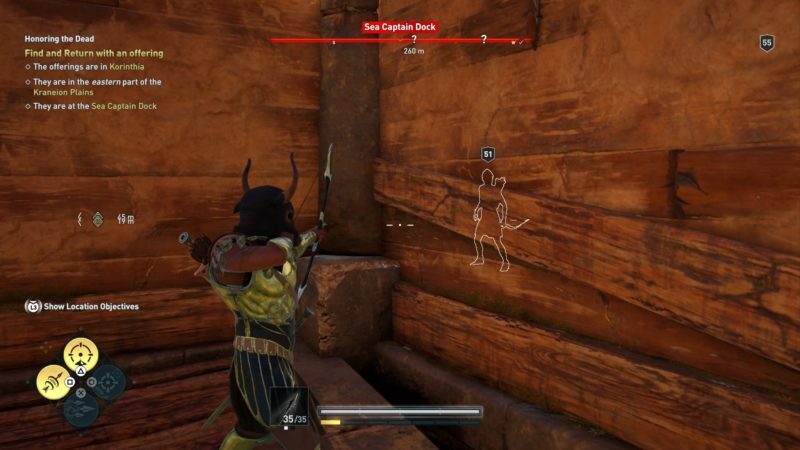 You can get rid of them silently using the Ghost of Artemis skill. Luckily, both of the offerings are situated near each other. 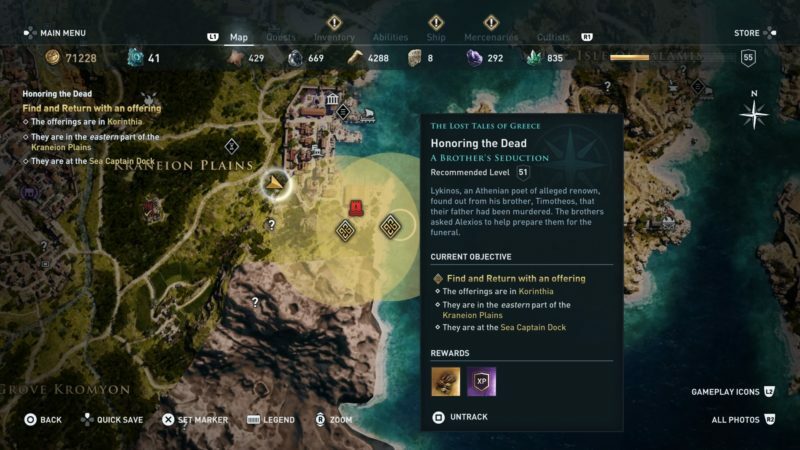 Once the coast is clear, walk out and loot the quest item. After obtaining the first offering, get to the next one. 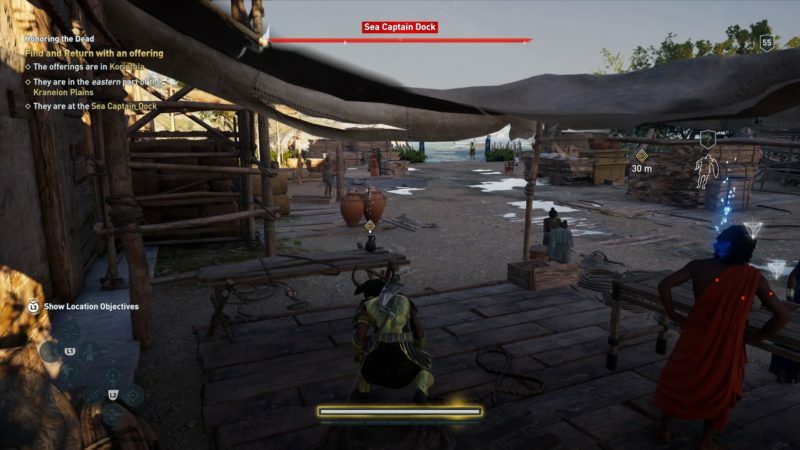 Grab the item and leave the dock. Now, get back to the two of them in the location shown below. 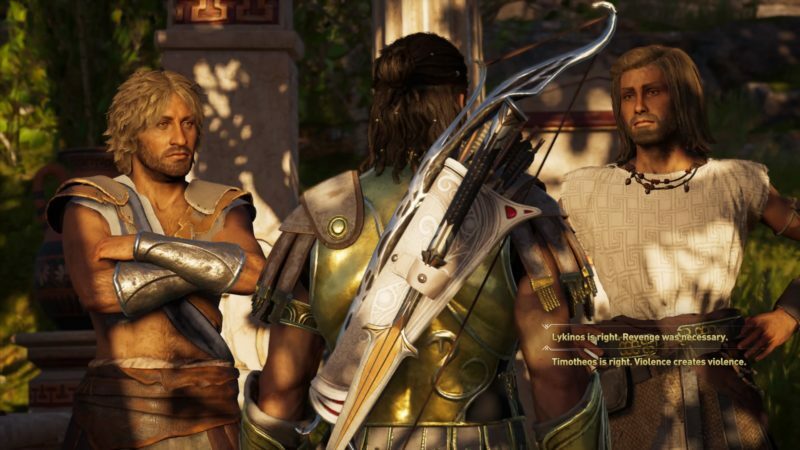 Talk to them and another cutscene loads. During the conversation, you may have to make choices. At this part of the conversation, I chose to give both offerings, since I managed to get them both. 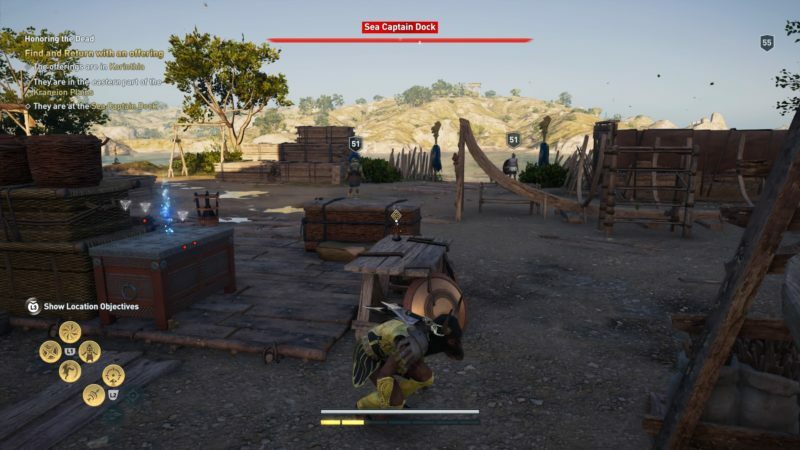 The quest completes here and you will earn some drachmae for completing this quest.